What Is The Titan TP Pro Alpine? 6 Key Features Of The Titan TP Pro Alpine! How Does It Compare To Other L-Track Chairs? Final Recommendation: Buy Or Pass? Next Steps After Buying: Assembly, Maintenance Etc. Fantastic User Flexibility With A Wide User Height Range! Extended 51'' L-Track Works Really Well For Lower Body Massage! Titan TP Pro Alpine is one of Titan’s premier L-Track massage chairs. Its 2D rollers can track an extended 51” all the way from neck to hamstrings. The 51” track span is very much the highlight of this chair! As far as overall massage intensity is concerned, you can expect a fairly strong 7-8. Can this chair do deep tissue massage? No. Because it has 2D rollers, it’s unable to reach deep tissue intensities. If you’re confused with all the terminology such as “L-Track, 2D, 3D”, don’t worry, I will explain everything in greater detail throughout the post. Bear with me for now! That’s a mouthful! Let’s break it down bit by bit to get a better understanding. Let’s start with 2D rollers. What are they and how do they work? 2D rollers are the most basic roller type you can find in today’s massage chairs. True to its name, 2D rollers move in 2 dimensions; up/down and side to side. The arrows in the image above illustrate the movement of a typical 2D roller. Pretty simple right? Now let’s now spend some time trying to understand “S-Track” & “L-Track”. Contrary to popular belief, a healthy spine is actually “S” shaped, not straight. In other words, our spine curves to make an exaggerated “S” shape. This is where the whole S-Track comes into play. Simply said, an S-Track roller is one which contours to the natural “S” shape of the spine. As it rolls down the back, it traces and follows the spine’s “S” shape. L-Track rollers are really an extension to S-Track rollers. There is no difference between the 2 other than an extended tracking range for L-Track. S-Track rollers are limited in their range, in that they can only massage from neck to tailbone. L-Track rollers move from the neck all the way right down to the glutes and hamstring. The Titan TP Pro Alpine massage chair in particular can track a total of 51” from neck to hamstrings. Pretty impressive! Hopefully terms like S-Track, L-Track, and 2D rollers make more sense now. This is a feature common to 90% of massage chairs on the market. That is, they’re mostly all able to recline to a zero gravity position. This chair is no different. It has 2 stages of zero gravity. The second stage is simply more reclined in pitch. What is zero gravity anyways? It’s a reclined position where the upper part of your legs (hamstrings, quadriceps) form an angle of about 128 degrees with your torso. NASA can be credited for coming up with the inception. They found zero gravity to be the most optimum seating position for astronauts, where stresses and strains are at a minimum. Now massage chair manufacturers have taken the idea and incorporated it to their designs. There are some benefits to massaging while sitting in a zero gravity position. Improved Spinal Decompression—In other words, your spine is more relaxed! Equal Pressure Distribution—Instead of pressure being heavily distributed to specific areas. Increased User Relaxation—Mostly because you can breathe better and because your heart has to work less to pump blood. Is zero gravity worth the hype, or is it just another marketing gimmick? My massage chair has zero gravity, and I can tell you it’s no marketing gimmick! I’ve tried massage programs both with and without zero gravity recline enabled, and I’ve noticed an incredible difference between the two. That being said, I feel massage is a lot more effective when done in a zero gravity position. Airbag numbers do not define how good or bad a chair is! Having a large number of airbags doesn’t make one chair better than another. For example, chair A with 60 airbags isn’t necessarily better than chair B with 30 airbags. It’s all about volume and surface area coverage. If properly designed, chair B can have fewer airbags than chair A, but still have the same or better surface area coverage. Good surface area coverage is when the airbags are able to effectively cover most surrounding muscle and tissue. The better the coverage, the more effective will be the compression massage! With the Titan TP Pro Alpine massage chair, Titan have tried to reduce the number of airbags, so as to reduce mechanical stresses on the chair (fewer valves, fewer pumps, and fewer motors). 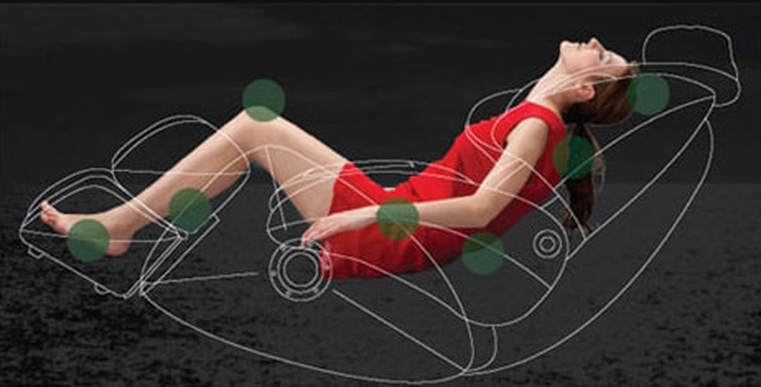 The 30 airbags not only provide a compression massage, but also help to stretch and maneuver different parts of the body as required. Calm—A low intensity, gentle massage. Definitely a good choice if you’re looking for something light! Night Mode—As the name suggests, this is a good routine to do just before bedtime. It consists of light tapping strokes over the entire body. Body Stretch—The ultimate body stretch! This mode stretches the hands, back, calves, thighs, and hamstrings by making use of airbags to help maneuver, rotate, and twist various body parts. Deep Tissue—Not true deep tissue intensity per say, but as close as it can get. In this mode, the chair will run at the highest intensity to massage the neck, waist, hips, and shoulders. Snooze—An air compression massage designed to wake you up. Focuses on the waist, hips, and thighs. Traditional Chinese (T.C)—Includes a combination of techniques such as tapping and compression. Intensity increases as the massage progresses. Focused on the arms, feet, and back. 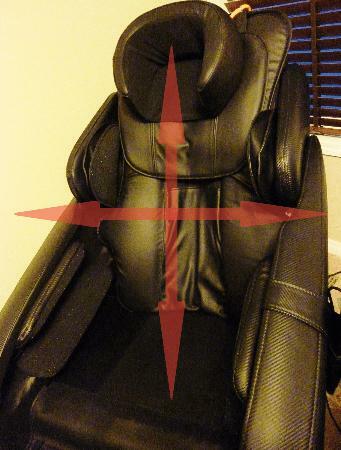 Placement is something most people completely forget to consider when buying a massage chair. How much does the chair measure (height, width, and depth) when upright? How much does the chair measure (height, width, and depth) when fully reclined? Where can I place the chair such that I have full 360 access not only to the chair, but also my surroundings? These are all questions you should be asking yourself before buying. 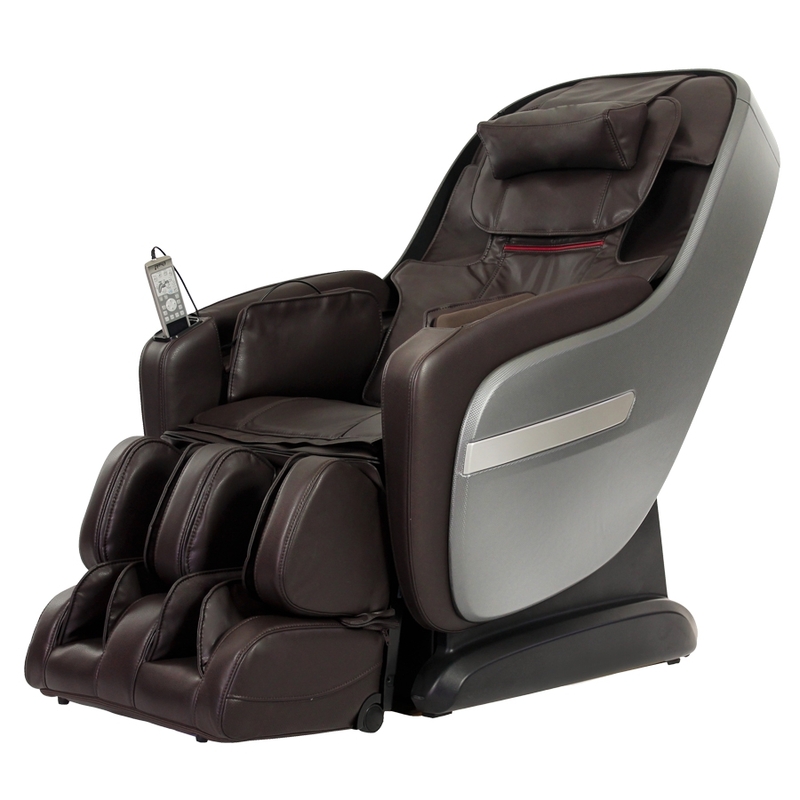 A design feature common to most Osaki and Titan chairs is something called space saving recline. In theory it’s actually pretty simple. Space saving recline works by reducing the clearance required from the wall. How does it accomplish this? As you recline backward, the chair slides forward. In a fully reclined position, the Titan TP Pro Alpine massage chair only requires 4.3 inches of clearance from the wall. This is great because it opens up a whole new avenue of options for placement! Everyone places a ton of emphasis on rollers and back massage, but people tend to forget just how important foot massage is. Consider the fact that your feet carries your entire body weight, sometimes for hours in a day! Isn’t it then fair that they get the attention and care they deserve!? That’s why when looking for a massage chair, it’s important to consider foot massage. A good foot massage design is one which has multiple kneading rollers with surrounding airbags placed in areas that the rollers can’t reach. Titan’s TP Pro Alpine has dual mechanical foot rollers that continuously spin to provide a kneading style massage. Complimenting the rollers are 10 airbags placed over the calves (sides and back) and feet (sides only). These keep your legs firmly in place so the foot rollers are able to properly target the pressure points on your feet. At the same time, the airbags will inflate to provide a compression style massage (intensity can be controlled). Able To Accommodate Various Heights! If there’s one thing I love about this chair, it’s that it can accommodate anyone from 5’0-6’5 ft. That’s a height range of 17 inches! For those wondering, the maximum suggested user weight is 265 lbs. 51'' L-Track Makes A Big Difference! At one point 51” was the largest roller track span on a massage chair, but that’s changed as of recently. The most I’ve seen on a massage chair is a 53” track range. 51” is still plenty, and it makes a massive difference for lower body massage! 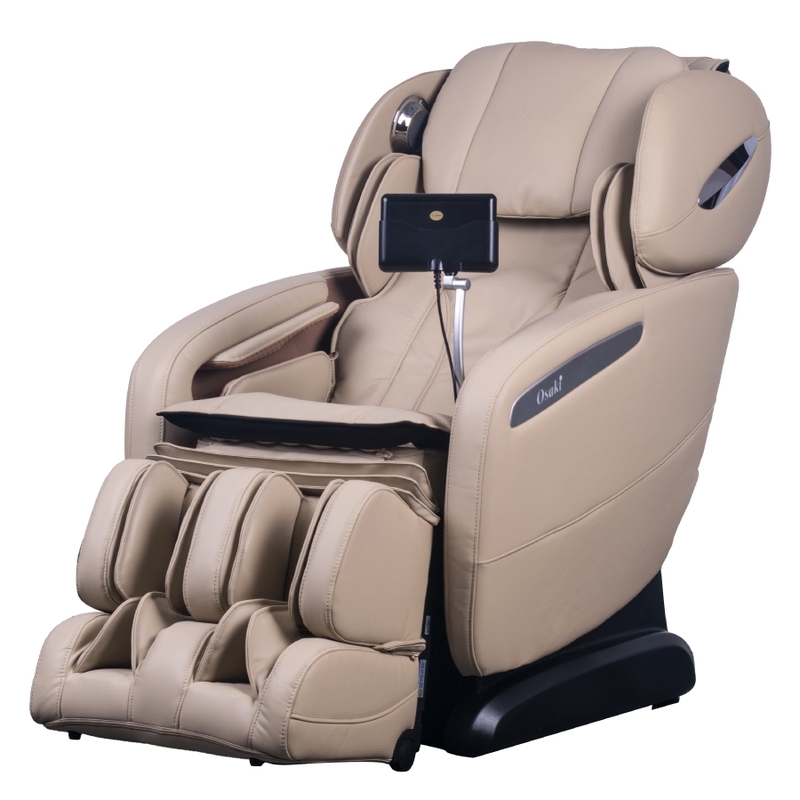 It currently retails for about $4K on massage chair deals. If you keep reading you’ll see why I think this chair is overpriced. I compare it with 2 Osaki chairs which in my opinion are definitely more reasonable. More Auto Modes Would've Been Nice! Not my biggest concern by any means, but it would’ve been nice to have more than 6 auto modes. A step further would’ve been to have a memory save feature where one could save customized massages for future use. Let’s look at how the Titan TP Pro Alpine compares to Osaki’s Pro Maxim and TP-8500. All 3 are L-Track chairs. User flexibility is all about how well a chair is able to accommodate various body types. By various body types I mean height and weight specifically. Pro Maxim is suitable for a height range of 5’1-6’4 ft, and a maximum weight of 285 lbs. Titan TP Pro Alpine is suitable for a height range of 5’0-6’5 ft, and a maximum weight of 265 lbs. TP-8500 is suitable for a height range of 5’0-6’1 ft, and a maximum weight of 285 lbs. As far as height range is concerned, the clear winner is Titan’s TP Pro Alpine. As far as weight is concerned, Pro Maxim & TP-8500 can accommodate a heavier 285 lbs. Which chair has the best user flexibility? My vote goes to the Titan TP Pro Alpine! Price is most likely going to be the deciding factor when it comes to picking a massage chair. That being said, Pro Maxim and TP-8500 are significantly cheaper than the Titan TP Pro Alpine! How much cheaper you ask? Approximately $1000 dollars cheaper! And that’s quite a difference! Keep in mind prices are subject to change. How often do they change? Pretty frequently from what I’ve seen! Roller track or span is the total distance a set of rollers can traverse. The larger this distance, the better! Pro Maxim has a 47” track span. Titan TP Pro Alpine has a 51” track span. And the winner with a 53” track span is the TP-8500! A 53” track span means the rollers will be able to massage all the way from neck, right down to the hamstring! Pro Maxim can massage at an overall intensity ranging from 6-8. Titan TP Pro Alpine can massage at an overall intensity ranging from 7-8. TP-8500 can massage at an overall intensity ranging from 7-8. Pro Maxim is the winner here for me simply because it has a wider intensity range i.e. it’s the better chair at lower intensities. Even though airbag numbers don’t mean much (as previously discussed), it’s still worth mentioning for comparison sake. For those wondering, TP-8500 has the most number of airbags (36) from all 3. Does this make it a better compression chair? Nope, all 3 chairs are comparable as far as air compression is concerned! Here’s something I do care about! Auto modes are pre-programmed massage routines that require no setup. They activate by simply pushing a button on the remote! 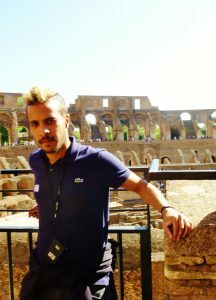 Pro Maxim is the winner with a staggering 12 auto programs! That’s double the modes you get with Titan’s Pro Alpine. TP-8500 is the only chair from the 3 that doesn’t have a vibrating seat. Seat vibration isn’t something that “makes or breaks” a chair in my opinion. Memory save is pretty important. It’s the ability to save a customized massage from manual mode into the chair’s memory slots. 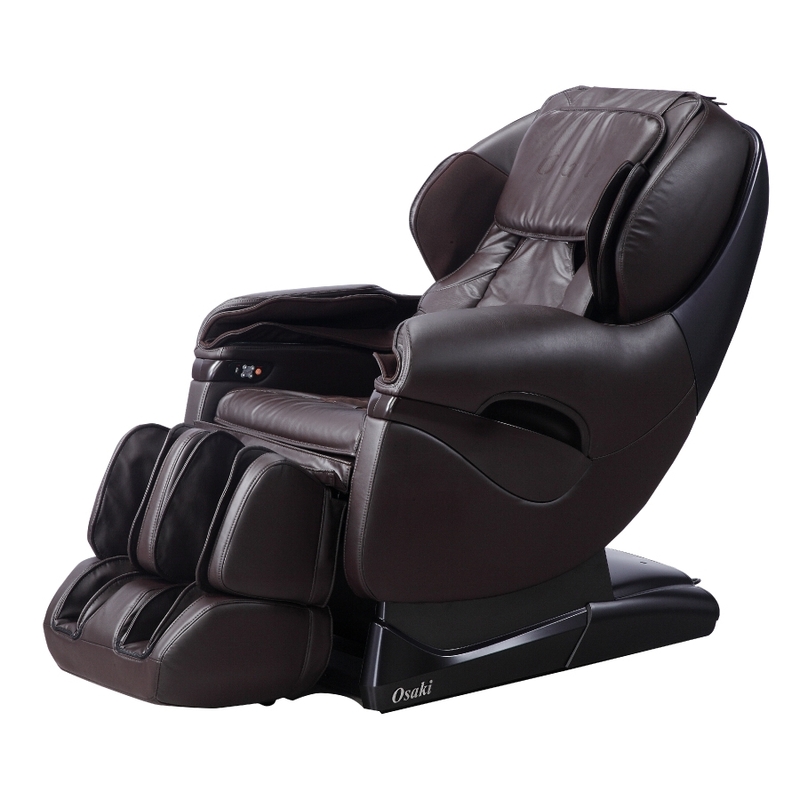 TP-8500 is the only chair from all 3 that allows you to save a customized massage to 2 different memory slots (M1 & M2). In my mind it’s important to have this capability because you will use the chair in manual mode at some point in time. Trust me on this, I speak from experience! Here’s another difference that wouldn’t influence my buying decision, but just one of those things that’s worth knowing. Pro Maxim is the only chair out of the 3 that has built in Bluetooth speakers encased in LED lighting. Does it matter? Not for me. This has no impact on massage function and effectiveness whatsoever. It’s definitely nice to have don’t get me wrong, but not something I necessarily go looking for! Should you buy the Titan TP Pro Alpine massage chair? The way I see it, you’d have to justify spending an additional $1K for the Pro Alpine! Is it worth an extra $1K over the Pro Maxim & TP-8500? I’m not so sure to be honest. It’s got a slightly better user height range than the other 2 chairs, but other than that the Pro Maxim and TP-8500 are arguably better! Don’t believe me? Go through the differences I’ve listed above and see for yourself. The proof is in the pudding! That being said, my final recommendation is to pass on the Titan TP Pro Alpine. It’s incredibly overpriced for what it can do. Even if it were in a similar price range to the Pro Maxim and TP-8500, those chairs still offer more! Instead you should consider either the TP-8500 or Pro Maxim. Both are exceptional chairs with a similar price point. Wanna score an extra 5% off, type in “MAM5” during checkout at massage chair deals! If you’ve decided to buy the Pro Alpine, this section is important. If you’ve decided to follow my recommendation above, then feel free to skip ahead! Most of the chair is pre-assembled prior to shipment. When it gets shipped to you, the only thing requiring assembly/install is the foot ottoman. In essence the foot ottoman needs to be attached to the chair. How do you do this? Pages 5 & 6 in the user manual explain how this is done in 4 simple steps. Click here to check out the user manual for this chair. There isn’t any short term maintenance per say, but long term you’ll want to ensure the synthetic leather is wiped down every 4 to 5 months. Pretty simple! 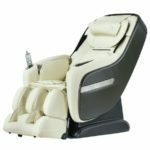 Many of the massage chairs I review are really good and therefore it’s easy for me to recommend or suggest them to you. The Titan TP Pro Alpine in particular is lacking in a couple areas: not enough auto programs, and you’re unable to save customized massages to memory. As highlighted in my recommendation, there are better chairs on the market! I hope you can appreciate my honesty and opinion with respect to this. Lastly, if you enjoyed reading please consider sharing on the socials! Here are 3 posts you may wanna check out next!